Renewable Energy. Innovative Power Generation. Bulk Water Supply and Distribution. All articles, pictures, videos and other contents are subject to copyright by their respective publishers, organizations, editors, writers and/or owners. Pure Energy Holdings Corp. does not claim any ownership or copyright from any of the writeups and publications. MANILA, Philippines – A lone bidder was declared qualified to participate in the auction for the P84-million water supply project of the municipal government of Baggao in Cagayan province. The Public-Private Partnership (PPP) Center on Wednesday, March 28, said in a statement that the Baggao municipal government issued a notice of qualification to bid to the Tubig Pilipinas Consortium. The Tubig Pilipinas Consortium is composed of Tubig Pilipinas Group Incorporated (lead member), Hanabana Construction and Equipment Corporation, and TGV Builders Incorporated. Through its Pre-Qualification Bids and Awards Committee (PBAC), the Baggao municipal government released the notice to the lone bidder of its water PPP project on Wednesday. The project seeks to provide level 3 water supply to 24 barangays in Baggao, with a 25-year concession period. A level 3 water supply facility is generally suited for densely populated urban areas, according to the Philippine Statistics Authority (PSA). 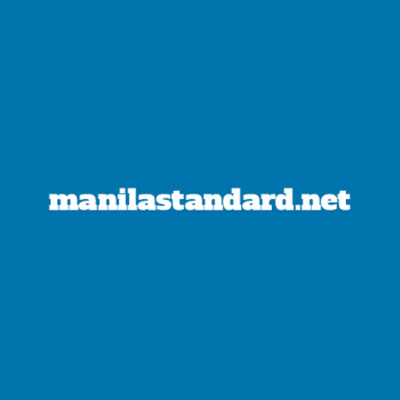 "It is a water supply facility with a source, a reservoir, a piped distribution network, with adequate treatment facility, and household taps," said the PSA. The Baggao project includes the construction of water supply facilities, including a bulk water source, storage facilities, and transmission and distribution pipes. The PBAC, led by chairman Jenison Herrera, notified Tubig Pilipinas that it satisfied the requirements for pre-qualification specified to prospective bidders. Should the municipal government award the deal to Tubig Pilipinas, the consortium would install, operate, and maintain all required equipment and facilities for 25 years. The instructions and related bid documents are expected to be released on April 20 to the lone bidder. It was on March 6 when the Baggao municipal government conducted the pre-qualification submission for the water supply PPP deal. The invitation to pre-qualify and bid had been made on December 22, 2017. The PPP Center has been providing technical assistance to the Baggao municipal government since the start of the water project development. The P84-million Baggao municipal water project in Cagayan, assisted for procurement by the Public-Private Partnership (PPP) Center, has attracted a consortium of municipal water service providers as its only prospective bidder, the agency said. Representatives from the provincial government of Cagayan and PPP received the prequalification documents submitted by Tubig Pilipinas Group Inc. on March 6 at the municipal hall of Baggao. The water project involves the provision of potable piped water supply service to households in the municipality. It would be inclusive of the development of a water supply source, as well as a transmission and distribution mechanism. The new water system is expected to serve 24 barangays initially. This comprises 21,160 persons out of the total municipal population of 78,200. The winning bidder would finance, design and construct the water supply facilities, including bulk water source, storage facilities and transmission and distribution lines. The private firm would also operate and maintain the facilities over a 25-year concession period. It would be structured as a designbuild-operate-and-transfer project and would undergo a competitive two-state public bidding process under the BOT Law. The project initially drew the interest of two other water companies during the prequalification conference in January – Eco-System Technologies, and Northking Construction. On its website,Tubig Pilipinas Group. Inc. is identified as a consortium of Princess Urduja Waterworks System Inc., Quadcore Construction and Development Corp., Repower Energy Development Corp. and Coal Asia Holdings Inc. The company said the group is expanding operations in underserved areas beyond the expansion reach of Metro Manila-based water conglomerates. It has bulk water projects in Bacolod City; Echague, Isabela; Cadiz City, Negros Occidental; Trece Martires, General Trias, and Tanza in Cavite province; and Sual and Calasiao in Pangasinan. Since 2015, the PPP Center has been providing the local government of Baggao, a first class municipality in Cagayan, with technical assistance in preparation for the project tender. It has also been assisted by the Water and Sanitation Program of the World Bank. In the second half of 2017, the PPP Center announced it would be more aggressive in facilitating the use of the PPP mode of procurement for LGUs as the national government leans toward the use of official development assistance (ODA) and own funds for big-ticket infrastructure projects. Since the rollout of the center’s LGU strategy last year, local governments have put forward several proposals for PPP projects, many of which still fall under the traditional projects like the modernization of public markets and other municipal infrastructure. The center, however, has said that it would select projects that provide vital services (like water) and would ensure these have sufficient scale to make it attractive for investors. Bacolod Bulk Water Inc. (BBWI) continues to actively support activities involving the Bacolod youth. Just this month, BBWI has been one of the sponsors of the Rotary Club of Bacolod South’s 43rd annual Academic Excellence contest. The contest is one of the biggest academic events in Negros Occidental with over 800 students from 80 schools participating. The said competition aims to encourage critical thinking and analysis while celebrating outstanding achievements of Negrense students in the region. “As part of the Bacolod community, BBWI supports initiatives serving to promote excellence among the youth in the city. We are proud to partner again with the Rotary Club of Bacolod South for this event,” says BBWI chairman, Ryan Yapkianwee. This is the second year that BBWI has sponsored RCBS’ Academic Excellence Contest. Rotary Club of Bacolod South president Elena Gatanela expressed her gratitude to Bacolod Bulk Water Inc. for their support to the organization. “We appreciate BBWI for being one of our generous sponsors in the academic excellence competition for the second year,” Gatanela said. BBWI also recently helped the Municipality of Murcia send more than 400 students from select schools to participate in the Kasadyahan Festival last January in Iloilo. “We want to continue to be an active partner of Bacolod in improving lives and showcasing what the province offers. BBWI is committed to serve Bacolod and further tighten its ties with the local community,” Yapkianwee added. Since beginning their work in Bacolod in 2016, the bulk water supplier has taken part in various social activities, such as providing compact water filters to residents in Murcia Municipality and organizing medical missions in the city. Bacolod Bulk Water has been supplying 15,000 cubic meters to BACIWA from the Ngalan Water Treatment Plant, since its inauguration last October 2017. The second injection plant at the Municipality of Murcia is expected to be operational within the year. During a meeting yesterday, Bacolod Bulk Water, Inc. (BBWI) Chairman Ryan Yapkianwee said his company is looking to expand their delivery services throughout Negros Occidental, however, he noted they do not yet have any formal arrangements with other local government units outside of Bacolod City. “We are open to expansion, but our commitment is to fix the water supply of Bacolod,” he said. Yapkianwee pointed out, with their bulk water supply facility located in Murcia, they could make an offer to the municipality. “We just offered, but we will not distribute to houses [directly] in the future,” he said. The BBWI chair added, a small pumping area could be set up, where residents can extract water themselves. THE Bacolod Bulk Water Inc. (BBWI) is capable of supplying the huge water requirement amid the ongoing major developments in the city, its top official said. BBWI chairman Ryan Yapkianwee, in a press briefing on Thursday, said with more businesses and investors coming in, especially in the real estate industry, water demand would surely increase. Although BBWI’s current contract with Bacolod City Water District (Baciwa) requires them to supply 15,000 cubic meters per day, Yapkianwee said they are actually capable of supplying 22,000 cubic meters. The bulk water supplier is still awaiting the payment of Baciwa for its two-month billing after they started delivering water to Injection Point 1 in Barangay Granada in October last year. Aside from Ayala Land Inc., big real estate industry players like Megaworld Corp. is also starting its development in the city. 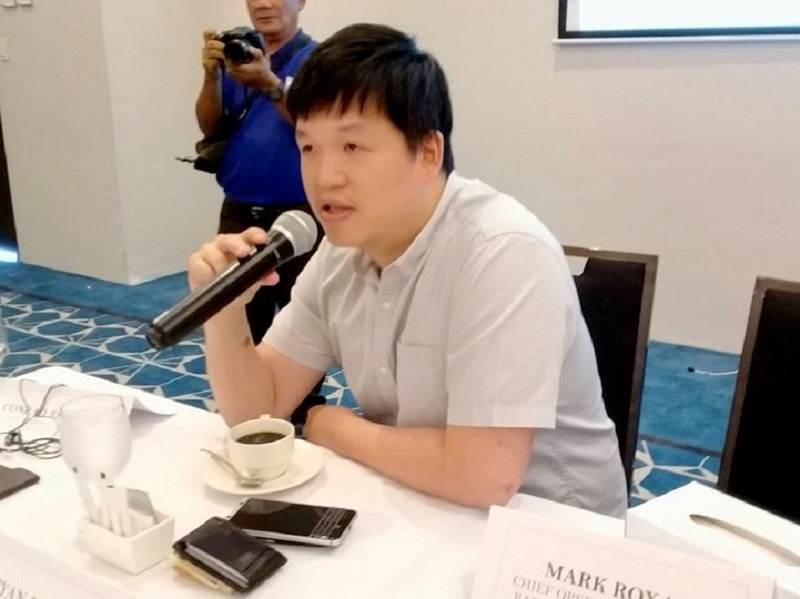 Other major players expanding their developments in the province include SM Prime Holdings Inc., Double Dragon Properties Corp., and Robinsons Land Corp.
Amid these growing developments, Yapkianwee said they are more than prepared. Although they are open to providing water supply to other localities, BBWI's priority for now is completing the bulk water project in Bacolod City. “No talks for bulk water projects in other cities and towns in the province yet. Our first commitment is to fix the water supply in Bacolod," he said. They can eventually engage in secondary projects after completing the bulk water supply in Bacolod, Yapkianwee added. The Bacolod Bulk Water Inc. (BBWI) reiterated its commitment as a partner of Bacolod City to help solve its lingering issues on water shortage. In a media briefing, BBWI Chairman Ryan Yapkianwee presented the achievements of the bulk water project in 2017. Yapkianwee is optimistic that the bulk water project will reach out to more households in Bacolod this 2018 with BBWI already in operation. “We intend to keep our momentum going. True to our commitment to the people of Bacolod, BBWI will continue to be a part of the solution in solving the water woes of the city. Now that BBWI is in steady operation, the next step is to move forward by expanding our services to more households,” Yapkianwee said. Yapkianwee also discussed the construction of the second injection point in Murcia which is expected to increase the water volume delivered to BACIWA. This milestone shall set BBWI as fully operational. “We are bullish for BBWI this year; with the Murcia injection point expected to be active in a few months, potable water is now made more accessible to Bacolod City. BBWI, in partnership with BACIWA and the support of the local government of Bacolod, is fully committed to help find a permanent solution to the water problem in the city,” Yapkianwee concluded. January 19 (Renewables Now) - Philippine-based Pure Energy Holdings Corp has purchased 60% stakes in three solar parks in the country with a combined capacity exceeding 13.8 MW. The acquisition was carried out through subsidiary Just Solar Corp, allowing Pure Energy to diversify into the solar sector, the company said on Monday. The remaining 40% are owned by Solar Powered Agri-Rural Communities Corp (SPARC), from which Pure Energy bought the majority stakes. The Palauig, Morong and San Rafael photovoltaic (PV) facilities are situated in the Central Luzon region. The first two have capacities of over 5 MW, while the San Rafael plant’s capacity is 3.82 MW. The deal is seen to help Pure Energy expand its renewable energy portfolio, which consists of hydropower and geothermal plants, CEO Dexter Tiu said. “We are optimistic because these power plants have huge economic potential in Central Luzon, and plans are under way to expand their respective capacities,” the CEO added. The Philippine investment holding company focuses on acquiring and developing assets that are sustainable, it says on its website. A unit of Pure Energy Holdings Corp. has acquired a majority stake in three solar farms in Central Luzon, enabling the company to diversify into solar energy and ramp up its portfolio. Pure Energy said on Monday that its subsidiary, Just Solar Corp., signed a share purchase agreement with Solar Powered Agri-Rural Communities Corp. (SPARC) for the acquisition of initially 60 percent ownership in three solar plants in Luzon. The three solar farms are the Palauig solar farm in Zambales, the Morong solar farm in Bataan, and the San Rafael solar farm in Bulacan. Both the Palauig solar farm in Barangay Salaza and the Morong solar farm in Barangay Sabang have a generation capacity of more than 5 megawatts each, while the San Rafael solar farm in Barangay Pasong Inchik has a 3.82-MW capacity. The three solar plants were approved for commercialization by the Department of Energy (DoE) to provide electricity in their respective areas. Zambales Electric Cooperative (ZAMECO), Peninsula Electric Cooperative (PENELCO), and Manila Electric Co. (Meralco) manage the distribution utilities of each facility. "This acquisition complements our existing renewable energy portfolio of hydropower plants and geothermal assets. We are optimistic because these power plants have huge economic potential in Central Luzon, and plans are under way to expand their respective capacities," Pure Energy Chief Executive Officer Dexter Tiu said. Pure Energy is an investment holding company whose purpose is to strategically acquire assets, develop natural resources that are sustainable, and be a basic service provider for the needs of the community. In May last year, Pure Meridian Hydropower Corp. (PMHC), a joint venture of Meralco with PEHC subsidiary Repower Energy Development Corp. (REDC), inaugurated its 3-MW run-of-river mini hydropower plant in Lalawinan, Quezon Province. PURE ENERGY Holdings Corp. has diversified its renewable energy capacity as its subsidiary acquired a majority stake in a company that owns three solar farms in Central Luzon. "This acquisition complements our existing renewable energy portfolio of hydropower plants and geothermal assets. We are optimistic because these power plants have huge economic potential in Central Luzon, and plans are under way to expand their respective capacities," said Dexter Y. Tiu, chief executive officer of Pure Energy, in a statement. Pure Energy said its unit Just Solar Corp. had acquired "initially" a 60% ownership stake in Solar Powered Agri-Rural Communities Corp. (SPARC), which owns solar farms in Palauig, Zambales; Morong, Bataan; and San Rafael, Bulacan. The three solar energy projects have been approved last year for commercial operation by the Department of Energy, allowing them to provide electricity in their respective areas. Pure Energy said the acquisition of the solar farms, which have a total capacity of 13.86 megawatts (MW), provides a platform for the company to diversify into solar energy while expanding its portfolio through the acquired company. The Palauig solar farm in Barangay Salaza has a capacity of at least 5 MW, which it supplies to Zambales Electric Cooperative. The plant in Barangay Sabang in Morong, which also has over 5 MW capacity, serves the Peninsula Electric Cooperative. The San Rafael plant in Barangay Pasong Intsik has a 3.82 MW capacity and serves Manila Electric Co. The holding firm’s other renewable energy subsidiaries include, Repower Energy Development Corp., which has a portfolio of operating run-of-river hydropower plants, and Pure Geothermal, Inc., which holds geothermal assets. Pure Energy Holdings Corp. through unit Just Solar Corp. acquired majority stakes in three solar farms in Central Luzon with a combined capacity of 13.86 megawatts. Pure Energy said in a statement it signed an agreement to initially buy 60 percent of Solar Powered Agri-Rural Communities Corp., owner of the three solar projects. The three solar farms are Palauig in Zambales, Morong in Bataan and San Rafael in Bulacan. The Palauig solar farm in Barangay Salaza has over 5 MW in capacity. It was included in the projects eligible for the solar feed-in tariff of P8.69 per kilowatt-hour under the second wave of installation target of the energy Department. The Morong solar farm in Barangay Sabang also has over 5 MW in capacity, while the San Rafael solar farm in Barangay Pasong Inchik has a 3.82-MW output. "This acquisition complements our existing renewable energy portfolio of hydropower plants and geothermal assets. We are optimistic because these power plants have huge economic potential in Central Luzon, and plans are underway to expand their respective capacities. We are excited to begin working and delivering electricity through renewable energy sources in this region," said Pure Energy chief executive officer Dexter Tiu. Pure Energy Holdings Corporation. Copyright 2018.